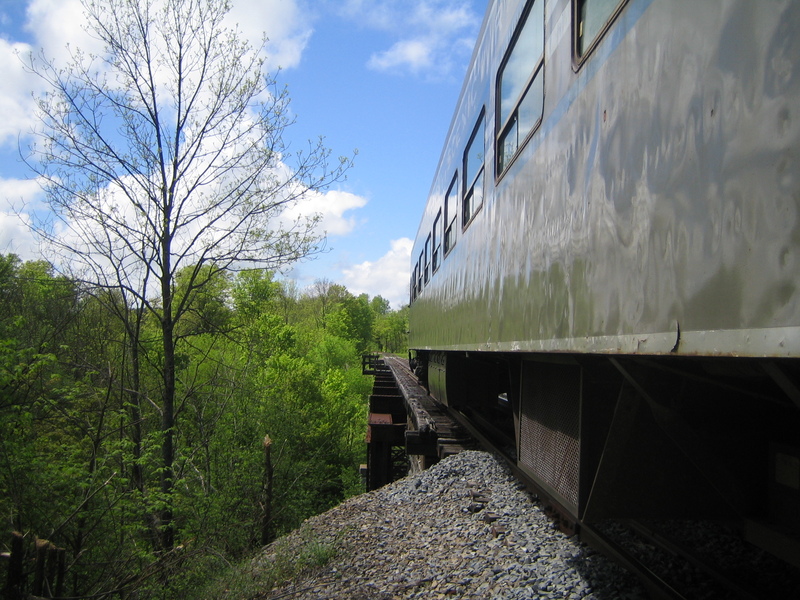 Your help is needed – New York State has recently issued a proposed “Alternative 7” to the Unit Management Plan that governs the Remsen – Lake Placid Corridor calling for revitalized rail service to Tupper Lake and ripping up the rails to create a recreational trail from Tupper Lake to Lake Placid. Please join us and offer your input to New York State in favor of a multi use rail and trail program which allows for revitalized train service not only to Tupper Lake but beyond. Your input is needed. An additional public hearing regarding the future of the Remsen – Lake Placid Travel Corridor has been scheduled for Monday, July 20th at 4pm at the State Office Building on Genesee Street in Utica. Originally, New York State had only planned on holding one public comment period in Tupper Lake but after a press conference and vocal support from Assemblyman Brindisi, Oneida County Executive Picente, Utica Comets’ Rob Esche and Oneida County Tourism’s Kelly Blazowsky, New York State has agreed to hold another hearing. We encourage all of our supporters to attend this meeting and speak on behalf of restoration of the full rail corridor from Utica to Lake Placid and the development of recreational trails that weave in and out of the corridor. It is critical that our supporters speak on behalf of the railraod. Tips: You’ll need to bring your ID to enter the State Office Building. One person at a time will speak in the front of the room with a microphone, arrive early so that you can sign up to speak, plan on 2-3 minutes of speaking time which is closely monitored. Please be courteous of everyone in attendance regardless of whether or not you agree with their opinion. -The Adirondack Scenic Railroad has carried over 1.5 million passengers and ridership has been steadily growing, expected attendance for 2015 hovers around 85,000 passengers. -ASR is operated by a group of about 350 volunteers who give a collective 15,000 hours per year to the RR, serving as conductors, engineers, board members and others who maintain the 119 mile corridor. Volunteers not only keep the Railroad running but lower corridor maintenance costs substantially. -Already offers “Canoe & Rail” and “Bike & Rail” packages which are successful and could be expanded with a fully operational line. There are already plans in place to offer similar packages between Tupper Lake and Saranac Lake – one of the most scenic and diverse areas of the corridor. – Brings a significant economic impact to the region, the RR is not only a job creator but has an annual operating budget of $2 million and works with local vendors, suppliers and merchants. A tourist attraction with an operating budget generates more economic impact that a passive tourist attraction. -Draws tourists to the five counties through which it operates. Most riders originate from outside the county of their departing location. In the year 2014, ASR has visitors from all 50 states and 12 countries. -The corridor is already a multimodal corridor! The RR operates seasonally, snowmobiles to have exclusive use of the corridor in the winter months. -Will reach its full potential with rail service restored over the entire line, linking tourist towns of Lake Placid, Saranac Lake, Tupper Lake and Old Forge with Amtrak and national rail service in Utica. Stopping in Tupper Lake stops short of connecting the two largest population centers in the Adirondack Park. Rail service in Saranac Lake allows for the preservation of the historic depot as a multimodal hub. -A restored rail line and enhanced trail system north of Tupper Lake provides trailways for both snowmobiles and non-motorized forms on winter recreation which would not be feasible in the trail-only scenario. -A rail and trail program provides more comprehensive range of economic and recreational opportunities for people of all ages and capabilities. -Can accommodate trails north of Tupper Lake, all of which have already been mapped out by a group of community leaders (Trails and Rails Action Committee). These trails are compatible with the rail corridor in place and provide a scenic route for hikers, bikers and skiers. -Maintaining rail infrastructure north of Tupper Lake allows for greater ease of trail construction, rail access will allow for the delivery of materials as well as provide a core group of volunteers and infrastructure to easier maintain remote areas. -Restored rail service provides for a smaller taxpayer investment in the corridor and will reap immediate economic benefits. -Service extended north of Tupper Lake enhances marketability (name recognition) and connectivity between New York, Chicago and other metropolitan areas, via Utica, to the heart of the Tri-Lakes area. -Is listed on the National & State of Historic Places, is a protected landmark and the longest historic district in the nation. -Allows for access to remote Forever Wild areas of the Adirondack Park. In many places, these areas do not have cell phone service, businesses or other amenities. Train service allows the young, elderly, people with disabilities and people from all walks of life to see and experience these areas in a safe manner. Otherwise, these areas are only accessible to a very small number of people.